18 years ago today Luis Enrique signed for FC Barcelona. 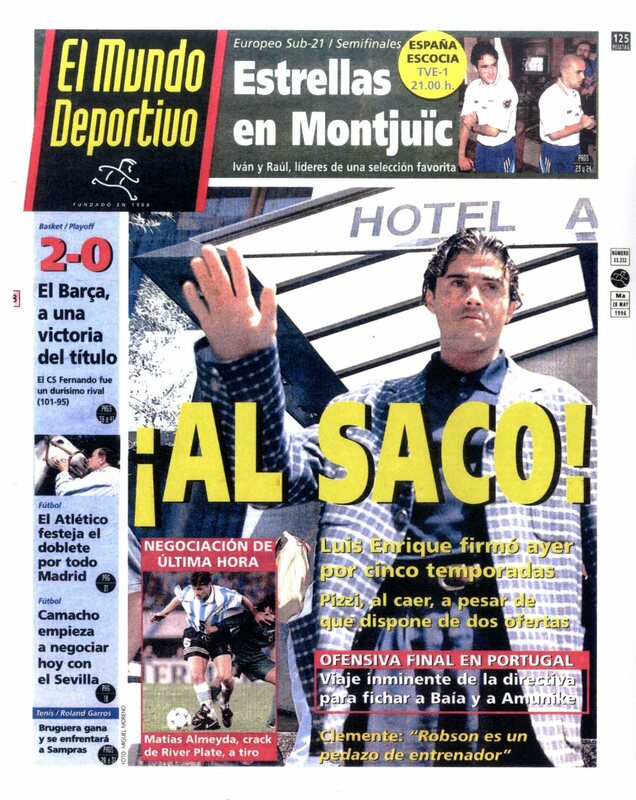 On May 27 1996, the now manager of the first team signed a five-year contract with the Club, until 2001. 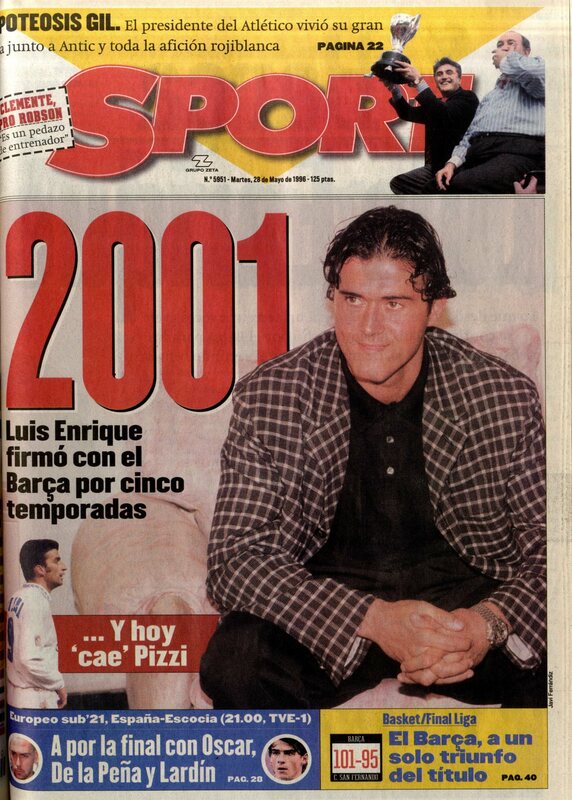 Lucho, a Real Madrid player between 1991 and 1996, ended up playing for FC Barcelona for eight years, until 2004. Nearly two months later, July 23, he was officially presented as a new FC Barcelona player along with Juan Antonio Pizzi, the current manager of Valencia. Both players featured in the European Championships in England.